Time with our dad is always super special! We are getting excited to spoil him this Father’s Day weekend. We have so much fun experimenting with him in the kitchen, so we pulled together some delicious gluten and dairy free snacks that he will love! Enjoy spending some time playing in the kitchen with your dad this weekend making these yummy recipes, or make these for him for a surprise treat. Either way he’ll be so happy that you made them for him with LOVE! Happy Father’s Day to all the dads out there! Who doesn’t love curly fries? We sure do! And so does our dad. But mom doesn’t like all the grease that comes along with them. Well these fries are oil free and yet still crispy and super tasty! This is a household favorite! We make a big batch and they are gone in no time flat! They are loaded with flavor so our dad just gobbles them up. 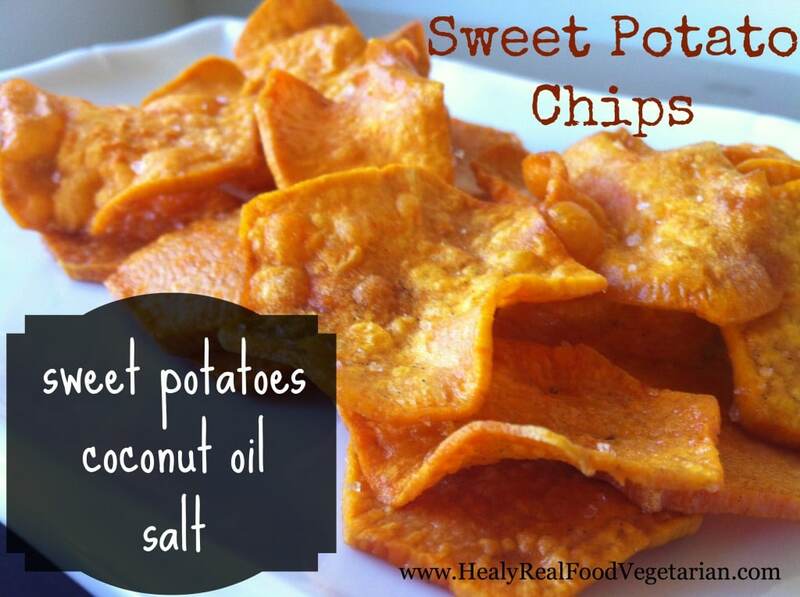 So much healthier than potato chips, and we think they are much tastier as well. All that “cheese” makes them finger licking’ good! We don’t know about you, but we couldn’t live without bananas! We eat them in our house every day. We love cooked bananas too, but they get all mushy (still super tasty, but very mushy). Plantains are a little more starchy so you can cook them a lot easier than bananas. They are in the banana family but are bigger and contain less sugar. Just like bananas, they have lots of potassium, boost the immune system, and help with your digestion. Our dad likes to eat these as a side dish, as a snack, or even as a dessert. We made these for Super Bowl Sunday and our dad LOVED them! He said he could drink a whole glass of the cheesy sauce we made to go on top. It’s delicious! But these nachos aren’t just for game days…they make a great dish to bring to any weekend BBQ celebration. Now that summer is here we like to eat a little lighter. These Summer Rolls give us the big flavor of a BLT but in a nice, fresh rice paper wrap. We like to make these and bring them on our family picnics at the beach. They are refreshing and yet filling at the same time. We like plump and juicy tomatoes straight out of the garden and Daddy gets to indulge in his bacon obsession! Since this weekend is all about pleasing dad, I’m sure he’ll want to sit down and relax with friends, by the pool, at the beach or in front of the TV. It’s always nice to have a bowl of snacks nearby to grab to munch on. 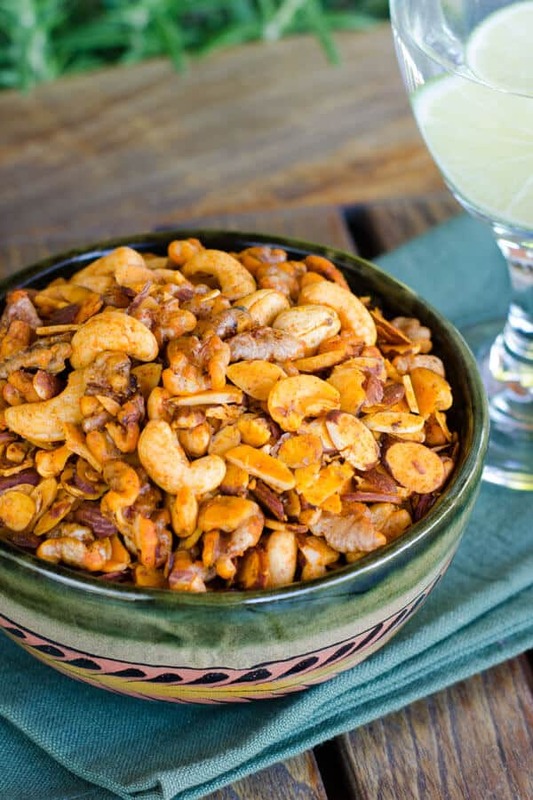 We love nuts and the great protein pick-me-up they provide, and our dad loves anything with spice. These can be a little hot for us, but Daddy loves them…and after all, this weekend is all about him! 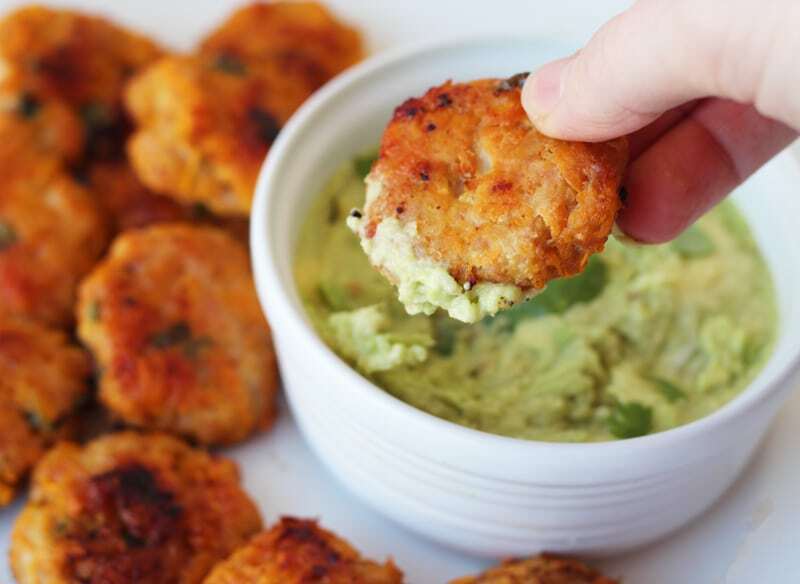 We love these because they are like little healthy chicken nuggets. Dad loves them for the protein and snackability and a whole plate can disappear in the blink of an eye around here. Daddy is popping, little hands are grabbing, and before you know it they are gone! 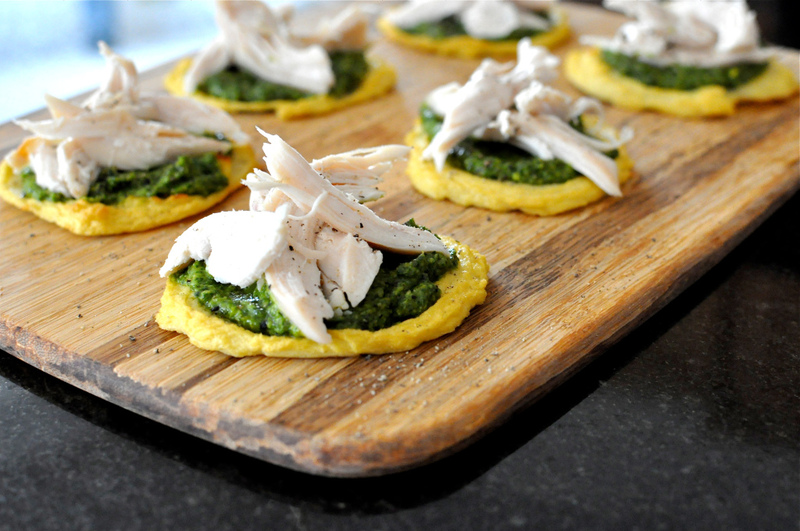 They’re delicious and super healthy because they are baked and coated in a sweet potato crust. This is a snack we make every weekend and keep in the fridge all week. It makes a great dip for crackers and veggies and also works well as a sandwich spread instead of mayonnaise. Daddy will have a big bowl next to him all weekend while he lounges by the pool! Our dad loves anything made with sweet potatoes. And these chips make a great, healthy alternative to processed bagged potato chips. They’re super simple and sometimes Daddy will make them with us in the morning when we make a big family breakfast together. (Just be careful and get parent supervision when working at the stove with hot oil!) They’re also great for dips. Try them with the Kale Hummus above! We wanted to include a healthy dessert to this snack list, and since you know how much we love chocolate (and our love of bananas) we thought we’d throw this one into the mix. They are similar to the Banana Bon Bons we made with Choice Health Bar in Maui, but they are made with Enjoy Life Foods’ dairy-free, nut-free, soy-free Semi-Sweet Mini Chips and their Cinnamon Spice ProBurst Bites. Dad loves to build up his muscles with protein, and these pops are sprinkled with a yummy chocolate protein mix to add a little crunch. Our dad is obsessed with guacamole! And one of his very favorites is this recipe from La Roca in Cabo San Lucas, Mexico. He orders this almost every day when we visit. He is so excited that Chef Alberto did a show with us because now we can make this “secret” recipe at home! Our dad is a master BBQ-er, but we don’t like to use store-bought barbecue sauce because a lot of them have corn syrup and ingredients we can’t read in them. 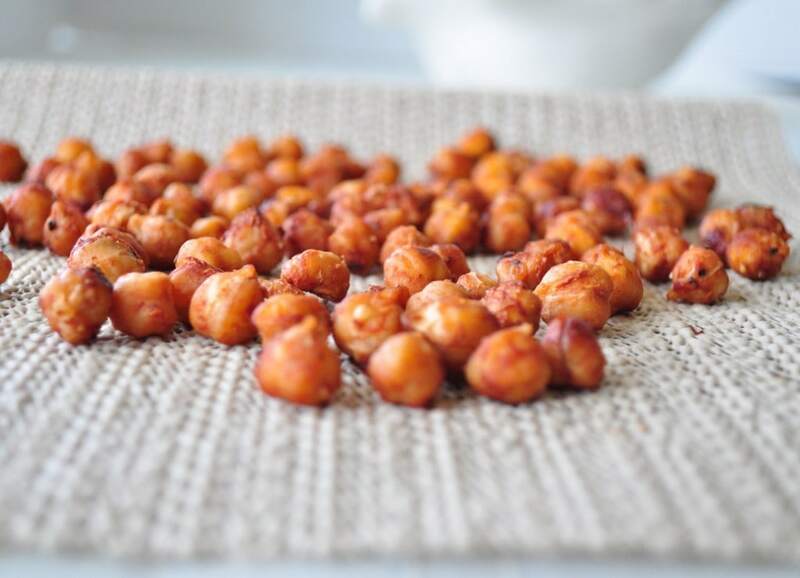 These roasted chickpeas are slathered in homemade barbecue sauce that’s actually healthy for you. With all these wholesome ingredients you can feel good about pouring it on thick! 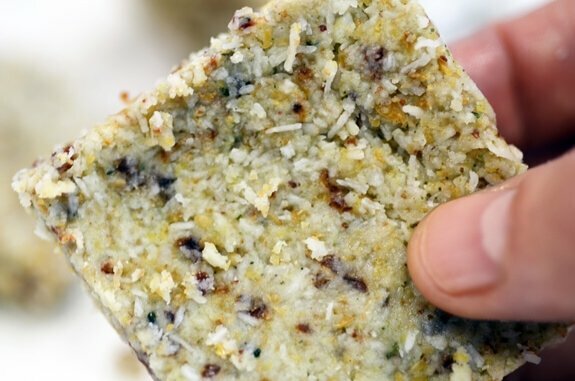 Here’s a grain and nut free power bar recipe that’s a hit in our house. These power-up Dad after he’s worked out or raced in a half marathon, and they also make a great after school / before sports snack for us! Daddy’s favorite kind of food is Mexican. But many times we find that Mexican food can be very greasy and full of cheese. 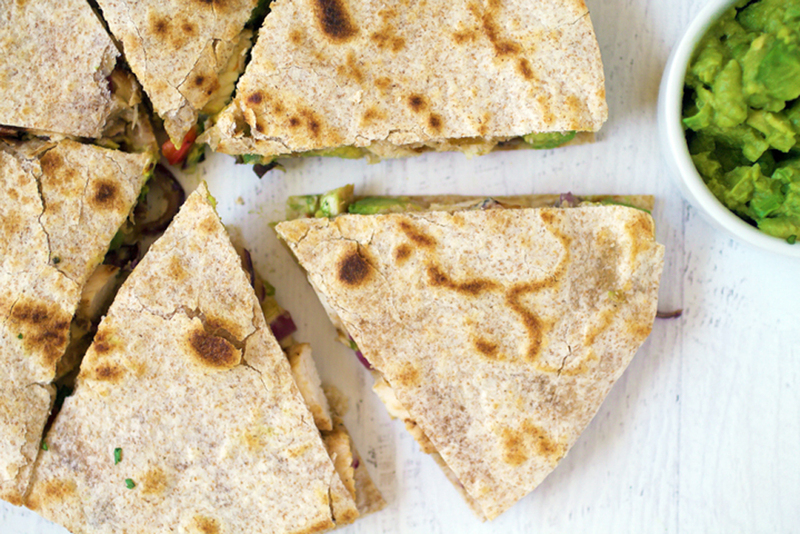 Well, here is a delicious recipe that allows us to indulge in the Mexican flavor of quesadillas without all the oil and dairy. 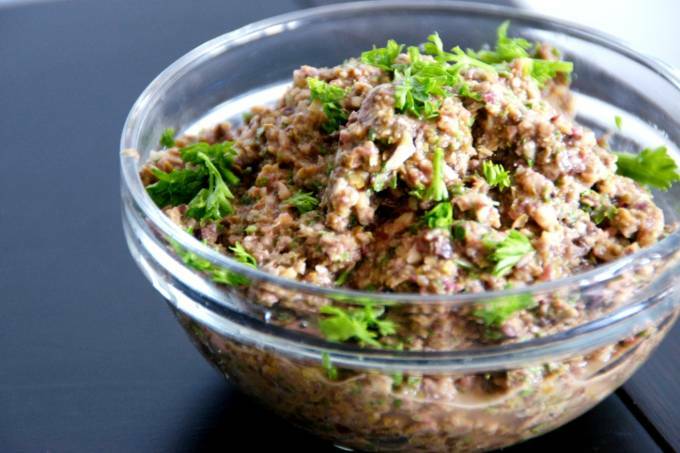 Fresh and filling, this healthy snack can also satisfy for lunch, appetizers or even dinner. These little mini pizza crusts are made out of cauliflower. Delicious and nutritious! We love nibbling on them anytime, but Daddy likes to make these with us when we have guests over. They’re so easy to make, tasty, and pretty too! 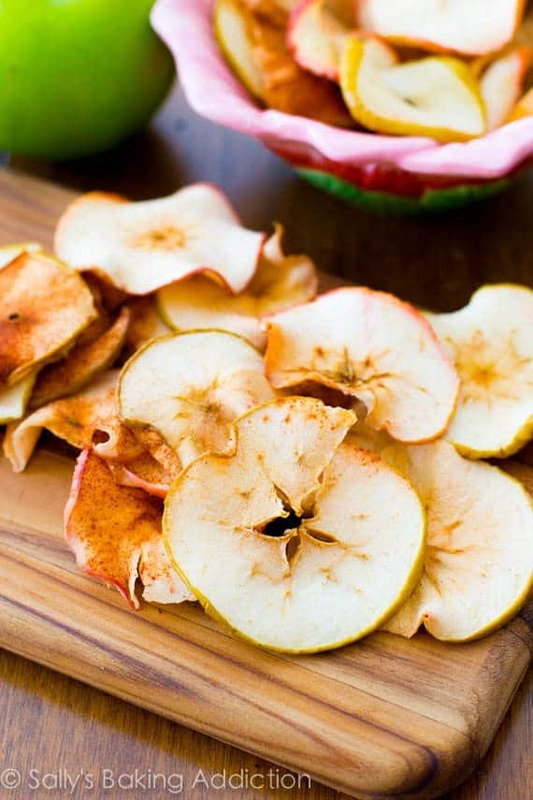 Who doesn’t love apple chips? Another easy recipe to make together and they satisfy those sweet cravings. No need to buy them at the store when these have only three ingredients and bagged apple chips are filled with preservatives. 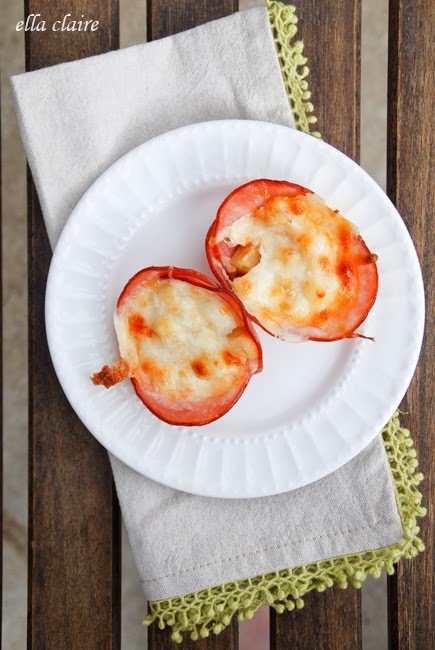 These look so yummy that we included them, even though the original recipe is made with real cheese. We love Daiya Dairy-free Mozzarella Shreds and would substitute to make them dairy-free. Happy Father’s Day to all the Dad’s out there! You are amazing and so deeply appreciated! And we are so grateful to you, Daddy, for all the many, many things that you do to care for us, cook for us, spend time with us, love us, and teach us to be kind, strong, capable and loving girls! We love you! And finally, if you like these recipes, please subscribe to our channel! Thank you! Hope the whole family has fun together in the kitchen! It’s a great way to make memories….and yummy treats…together. Thanks for watching! Sign up to get our free cookbook and never miss an episode!